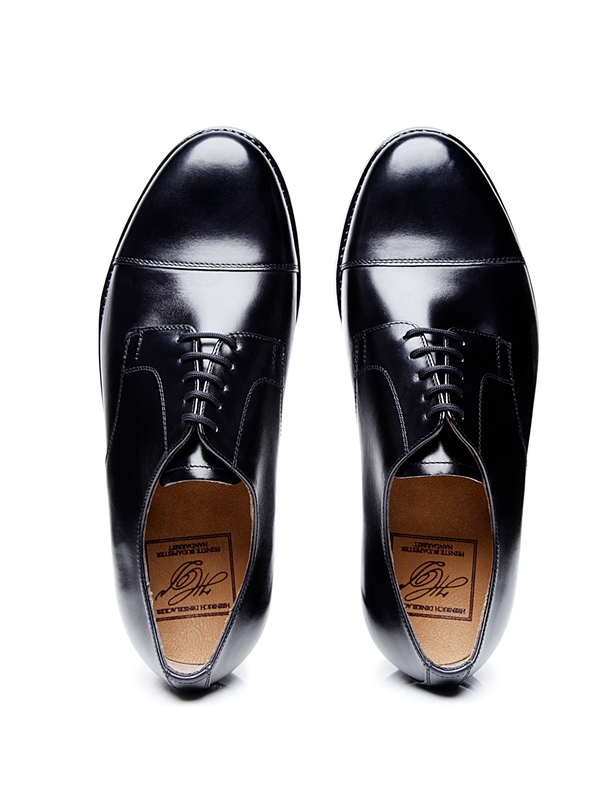 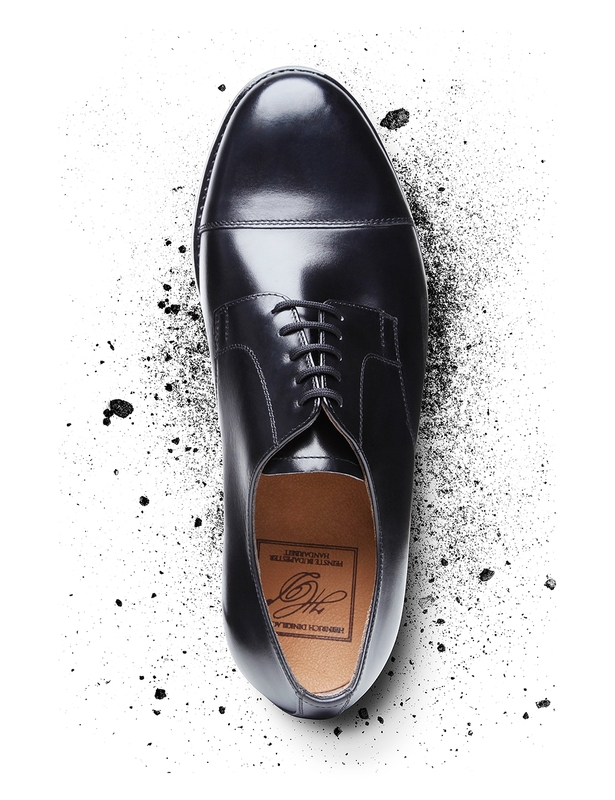 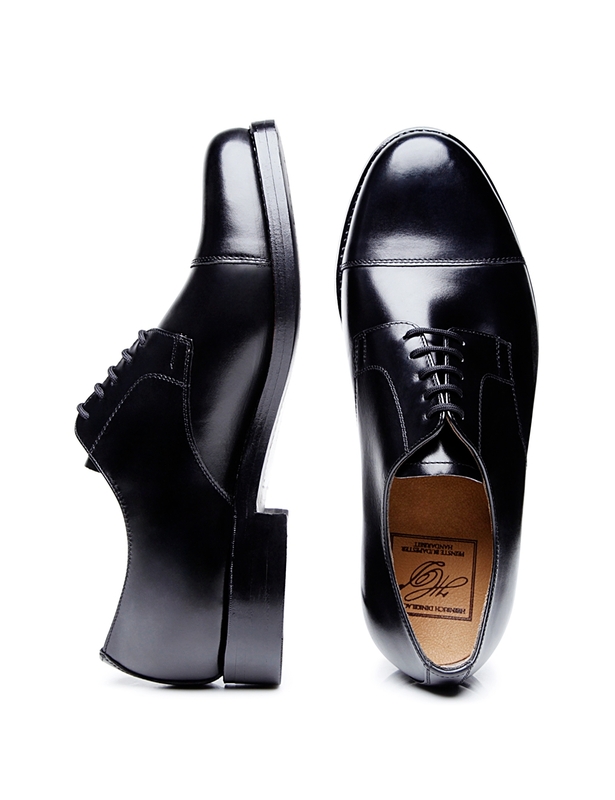 Cap-Toe Derby A toe cap accentuates the classic design of this popular men’s shoe with traditional open lacing. 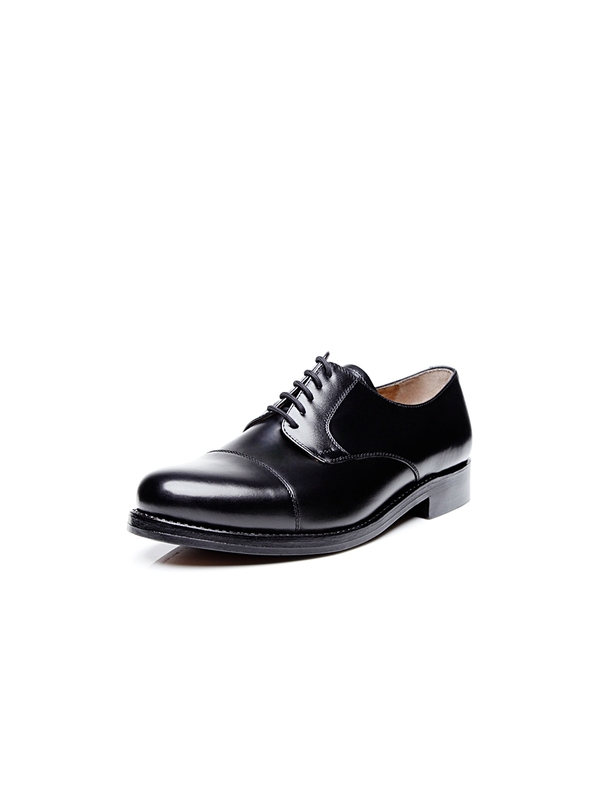 This cap-toe Derby is a menswear classic. 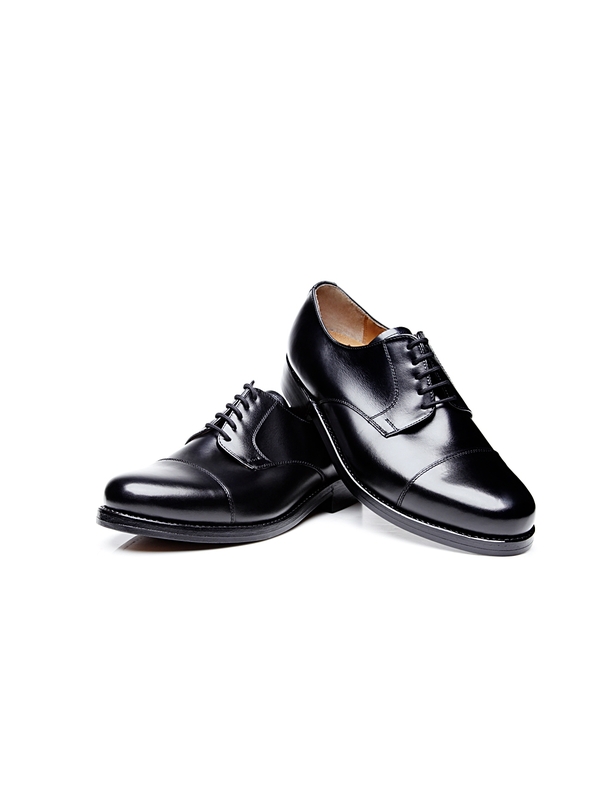 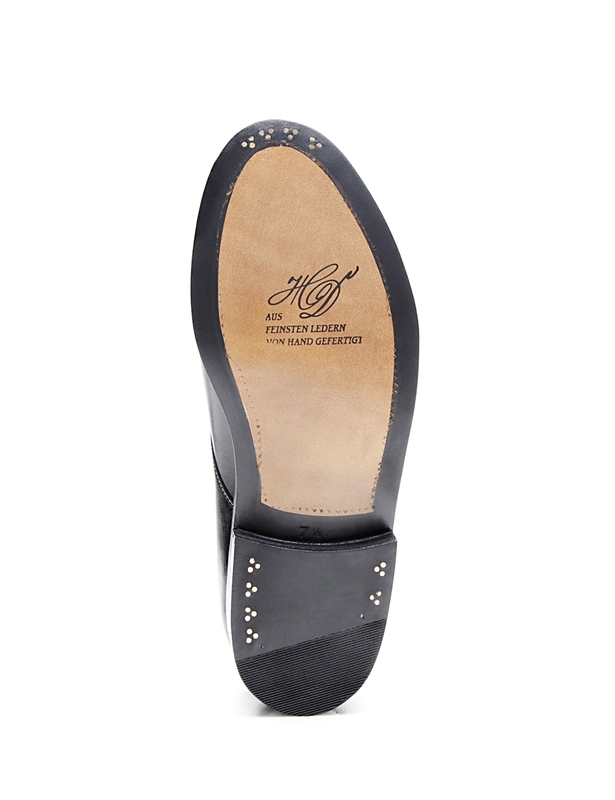 Featuring open lacing and a subtle cap-toe seam at the toes, it unites straightforward lines and timeless design. 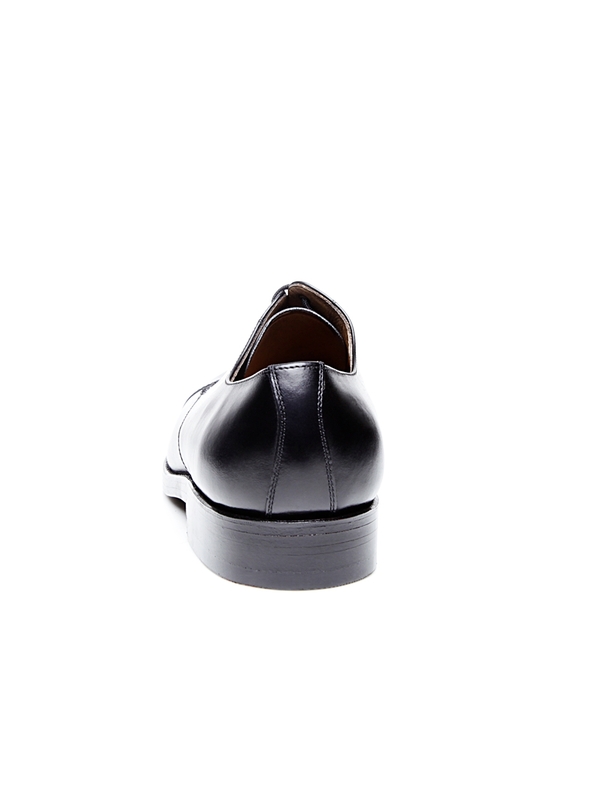 The soft calfskin of the shaft adapts comfortably to the wearer’s foot. 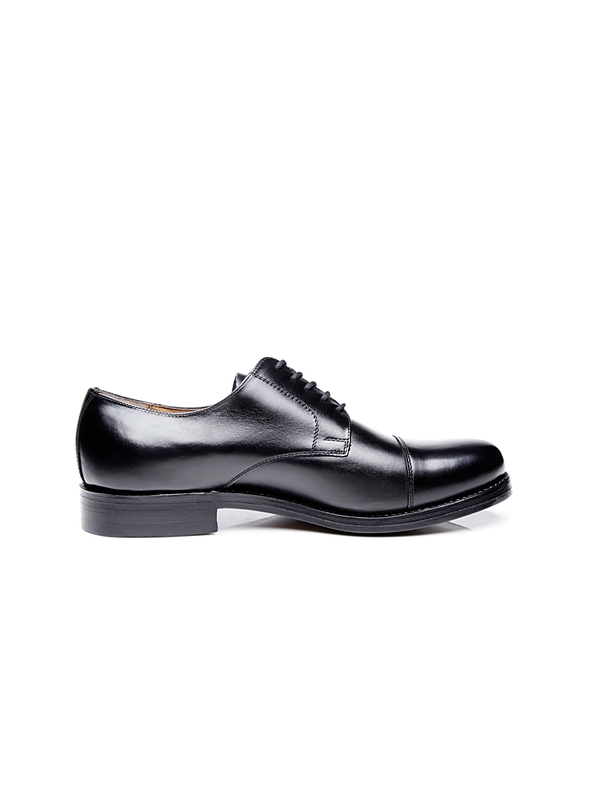 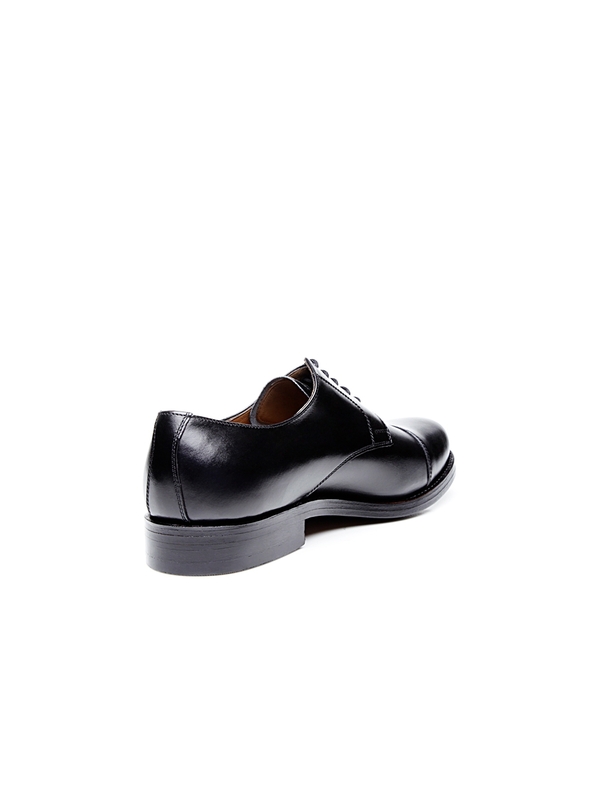 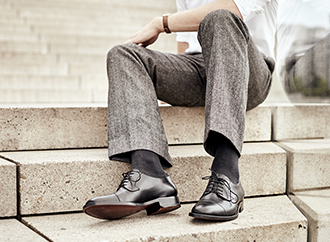 This men’s shoe is highly versatile; the perfect choice for everyday wear. 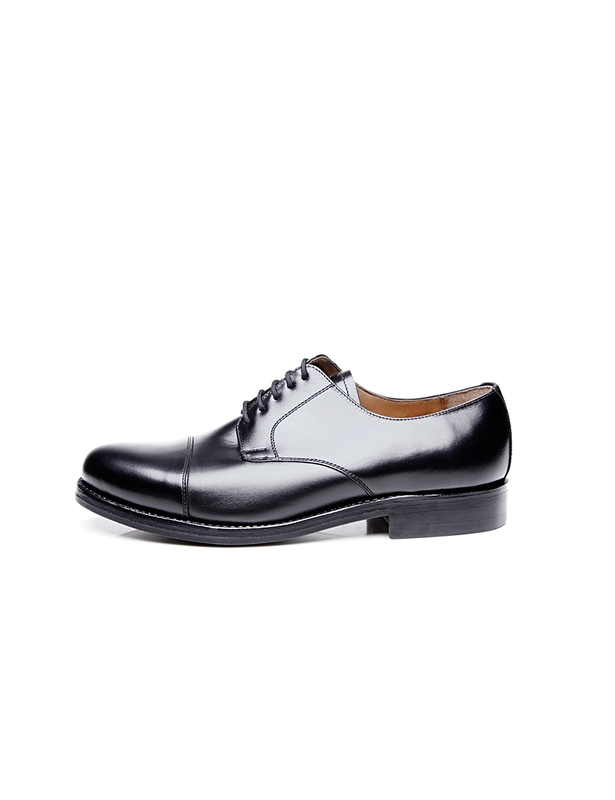 Created on the widest last available, this shoe offers the highest level of comfort to particularly demanding feet. 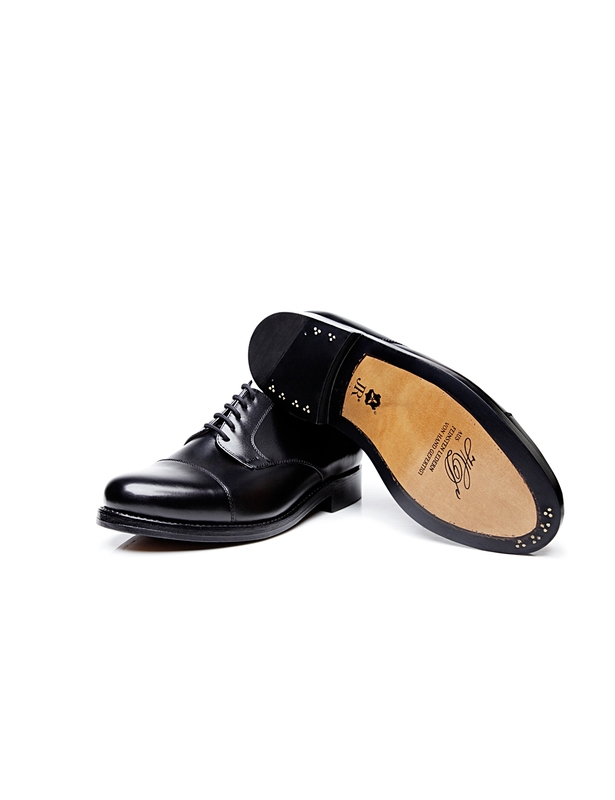 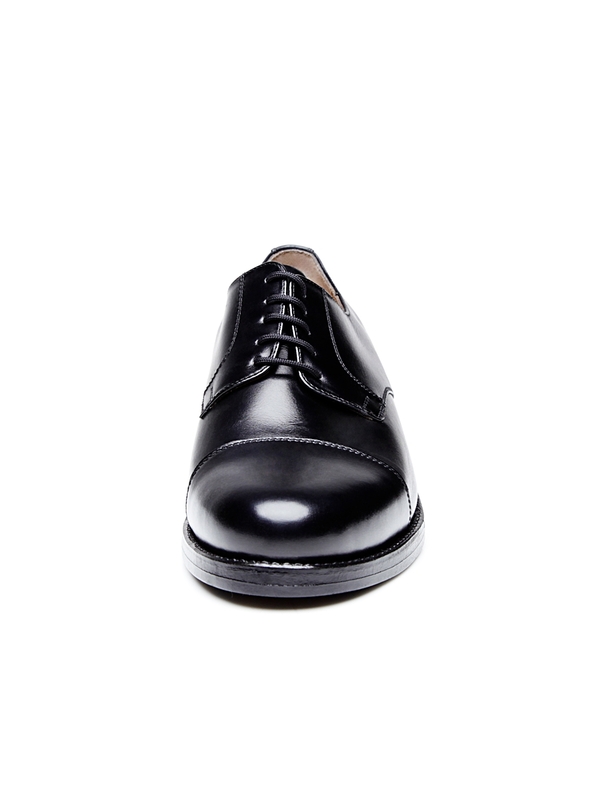 The leather outsole from Rendenbach, affixed with a classic set of three nails, is the cherry on top of the fine double sole, which is furthermore distinguished by its high level of flexibility.